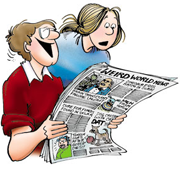 pipe | Items | FBorFW Strip Fix For Better or For Worse Comic Strip by Lynn Johnston. This entry was posted in Uncategorized on January 12, 1981 by stripfix. This entry was posted in Uncategorized on January 13, 1981 by stripfix. This entry was posted in Uncategorized on April 27, 1982 by stripfix. This entry was posted in Uncategorized on May 20, 1983 by stripfix. This entry was posted in Uncategorized on October 28, 1984 by stripfix. This entry was posted in Uncategorized on October 29, 1984 by stripfix. This entry was posted in Uncategorized on October 30, 1984 by stripfix. This entry was posted in Uncategorized on December 30, 2008 by stripfix. 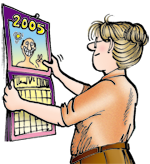 This entry was posted in Uncategorized on January 2, 2009 by stripfix. Lynn's Comments: Never ask a kid a direct question unless you're prepared to hear an equally direct answer! When my grandfather read the comics page to me he would rail at the interaction between the Peanuts characters saying "Children don't talk like that! Children don't have such intellectual thoughts!" Privately, I disagreed with him. I might have been in first grade at the time, but I remember thinking "Of course we have those thoughts and ideas! We might not use the same words you do, but we're smarter than you think!" This entry was posted in Uncategorized on May 6, 2011 by stripfix. Lynn's Comments: When I was a single mom, I dated a man who sent my head spinning, then stopped the carousel, saying that because I was not of the same religion, I was not "forever". His family would never accept me and he was moving on. He was a serial "shiksa" man and I was number 61! In my machinations afterwards, I fantasized his return; his begging for forgiveness and his asking for another chance (fodder for a good song). This never happened to me...but in the strip, it happens to Connie. She readily accepts Phil's apology and for awhile their relationship goes on. This entry was posted in Uncategorized on May 7, 2011 by stripfix. Lynn's Comments: Being at home when your spouse is with friends is usually a time to relax and enjoy the solitude. During my first marriage I was left at home too often, however, and the feeling of unrest is easy to recall. I remember wondering where he was, what he was doing and with whom he was doing it. In this strip, I turned the scenario around. Here it's the GUY who's left out and wondering if "something" is going on! This entry was posted in Uncategorized on May 31, 2011 by stripfix. Lynn's Comments: It was scenarios like this which drove my readers crazy. I learned quickly that if you annoy folks and make them wonder what in heck was going on - they'd be sure to tune in the next day! This entry was posted in Uncategorized on July 8, 2011 by stripfix. Lynn's Comments: Parents of young children can easily carry on two conversations at once. While showing a toddler that you are there and paying attention to them, you can also listen to and process adult communication. This is not something a non-parent can tolerate and now that I'm well past coddling a toddler, I can't stand it either! This entry was posted in Uncategorized on May 16, 2012 by stripfix.